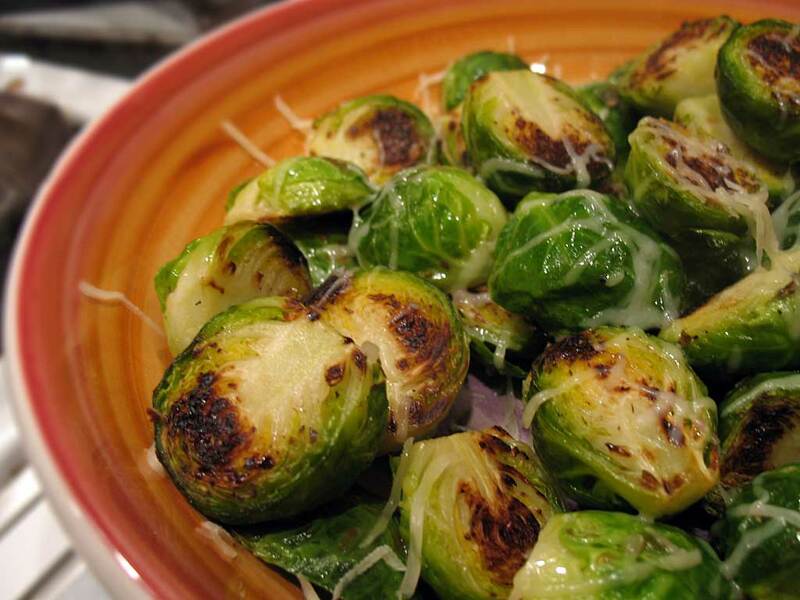 Lisa has been trying to convince me to make this brussels sprouts dish that she found on Heidi’s 101 Cookbooks site, and since we had at least one other sprout-lover (Abbie) coming over for Thanksgiving, I decided to give this one a try. The verdict? Pretty gouda! The sprouts never get mushy and don’t really have that bitter taste. However, in my stubbornness to continue hating brussels sprouts, I’m just going to refer to these as tiny cabbages instead. Look at you makin’ brussels sprouts — I’m so happy and proud! I think this was my favorite dish of the night! Wash the brussels sprouts, removing any wilted outer leaves. Cut in half lengthwise and rub each half with olive oil, keeping it whole. Heat 1 tbsp of olive oil in your largest skillet over medium heat. Place the brussels sprouts in the pan flat side down in a single layer, sprinkle with salt, cover, and cook for about 5 minutes, or until lightly browned and just tender. Uncover, turn the heat to high, and cook until the flat sides are deep brown and caramelized. Use a spatula or shake the pan to get a couple of the rounded sides browned. Season with more salt, pepper, and the grated cheese. Serve immediately.